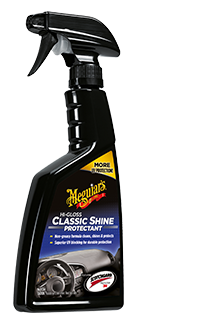 For those who love that classic high-gloss shine but demand a non-greasy finish. Using the latest chemistry, it’s safe and effective for use on vinyl, rubber and plastic surfaces both old and new. Features Scotchguard technology to clean, condition and protect from damage caused by UV exposure, your car deserves the best.